Getting to enjoy a meal with my family is very important to me. Our lives are so busy these days that I always make sure the girls and I eat together in the evenings - and Christmas Day is extra special as we get to spend that time with our extended family too. For the last two years there have been four generations around the table. How lucky are we? HelloFresh is a company I am incredibly passionate about. If it wasn't for them, I'd still be serving up the same four dishes on rotation every evening. 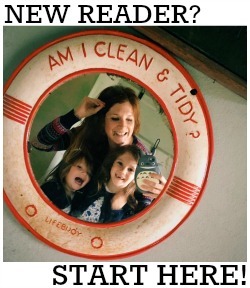 Since trialling my very first box at the end of last year I've ordered them pretty much every week. More importantly, since that first box I've started to genuinely really enjoy cooking, whereas before I found it a huge chore. I love getting to try new recipes, and sometimes even new foods. I love knowing I have everything I need to prepare a meal in the fridge/larder - it saves time, saves stress, and wandering aimlessly round the supermarket looking for inspiration (and usually failing!) is a thing of the past! But I digress. We were talking about Christmas dinner! 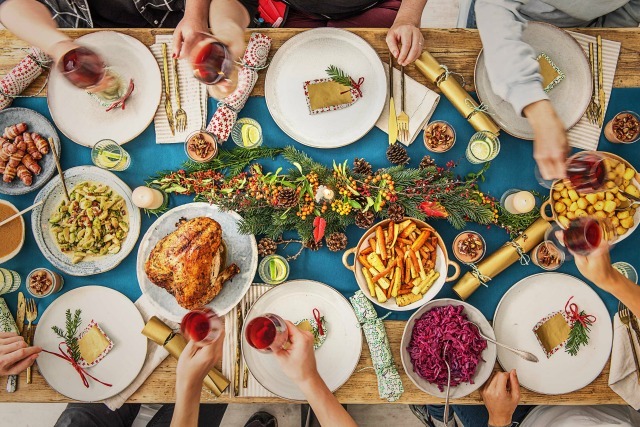 HelloFresh have prepared a BRILLIANT downloadable Cheat Sheet, giving you all the information you need to prepare for your festive feast. From timings to recipes (including ones that can be made in advance), you can download a copy to use on Christmas Day here! - make and freeze Yorkshire puddings a couple of days in advance. They can be defrosted and reheated in just 5 minutes (at 200c) once your oven is empty, and while you're dishing up everything else. - chop your veggies in advance (I usually do them the night before). Cover them in water and keep them in the fridge until you're ready to put them on the hob. - always have a glass of wine to hand! 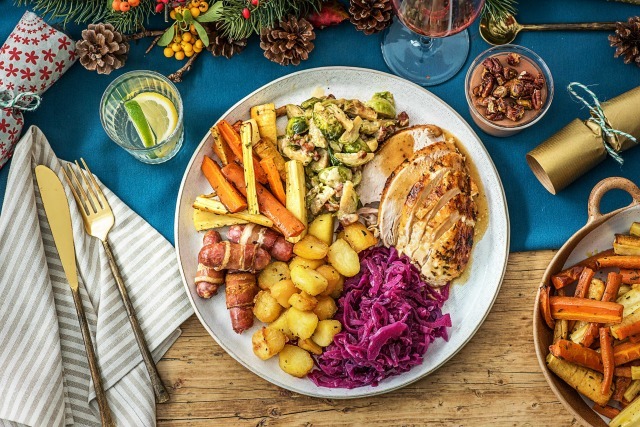 If you want to make things even easier for yourself, you can buy a HelloFresh Christmas Dinner Box, which looks utterly amazing and I'm totally going to get when it's my turn to host. You simply select the number of people you have to feed and how many courses you'd like, and you get sent all the ingredients, pre-measured, and the recipe cards to talk you through the preparation and cooking! Brilliant! What top tips do you have for cooking Christmas dinner?